Surrounded by hills and valleys, where the Temo river flows, these were carved out by the Neolithic populations in two limestone outcrops. The nine domus de Janas of the necropolis of Puttu Codinu represent - along with the Appiu nuraghe settlement - the most famous archaeological site in Villanova Monteleone, located five kilometres from the village, along the state highway number 292 that leads to Monteleone Rocca Doria, in the Alghero hinterland. The name of these 'houses of the dead', named after the fairies (janas) but in reality the collective tombs of a village that must have been nearby, means 'well of rock' and dates back to 3500 BC (final Neolithic period) at the end of the 3rd millennium BC (Eneolithic) and were frequented, as is confirmed by the artefacts found here, until 1800-1600 BC (Early Bronze Age). Two funeral hypogea open up in one rocky outcrop, and all the others in the second one. The burials are preceded by short corridors (dromoi) that lead into tombs 2, 8 and 9 in a pavilion where the entrance door is located. They extend longitudinally with a T-shaped design through a series of rooms (anteroom, main cell and lateral spaces), in which the deceased were placed along with their grave goods. Particularly interesting because of its size and constructive solutions, is domus 8, which displays architectural elements in the rock: the anteroom 'simulates' a wooden roof on the ceiling, the main cell calls to mind a double sloping roof with beams and joists, typical of the huts, and on the walls there are decorative elements with pilasters, strips and plinths like the prehistoric dwellings. You will also notice fascinating symbolic elements: a 'false door' (representing the afterlife) framed by two jambs and an architrave, long 'striped' horns, panels and taurine protome, that also recur in other tombs and refer to the recall the Bull God. Along with the Mother goddess, a little statue of which was found in the tomb, these were symbols of fertility and were common to several religions in the Mediterranean. In the adjacent tomb 9, on the wall of the dromos, two hemispherical cupules stand out and, in the middle of the main room, there is a ceremonial hearth. Outside the domus 7, you can observe two menhirs, 'interpreted' as grave markers. 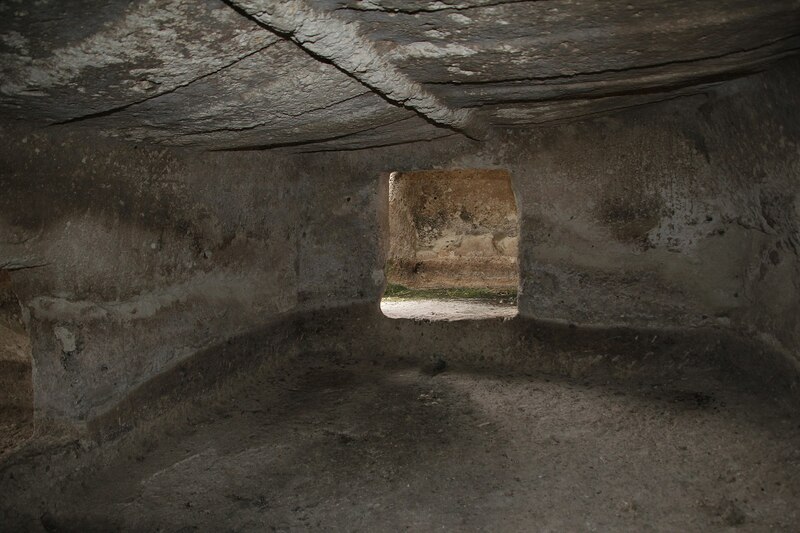 Sui generis is tomb 6: it has two entrances because it was originally two hypogea, which were later joined together. Villanova is dominated by Mount Minerva, a spectacular extinct volcano that is covered by a forest, where you can admire another domus de Janas burial ground. 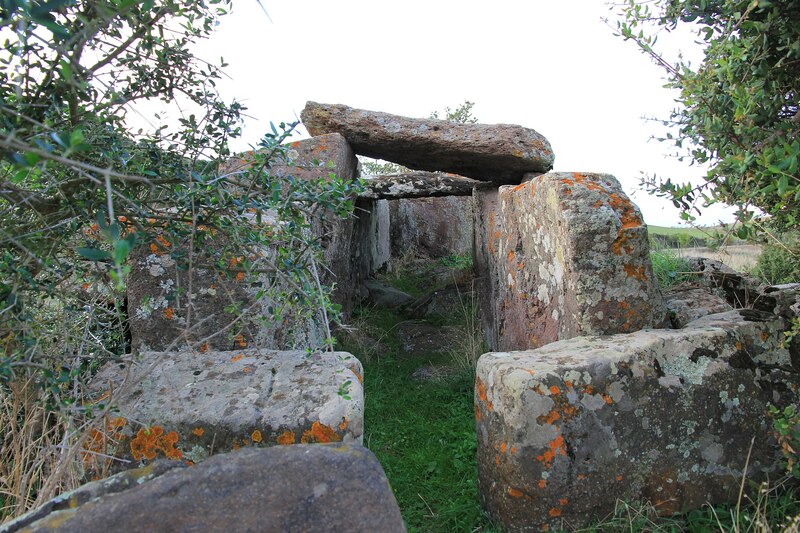 Then, in the forest of Mount Cuccu, you will discover an archaeological park in which there is a complex dating back to the Iron Age (900-800 BC), formed by the trilobed nuraghe of Appiu, a village of approximately two hundred huts, another monotower nuraghe and a Tomb of Giants with two dolmens. Nearby, there is also a megalithic circle and a megaron temple. 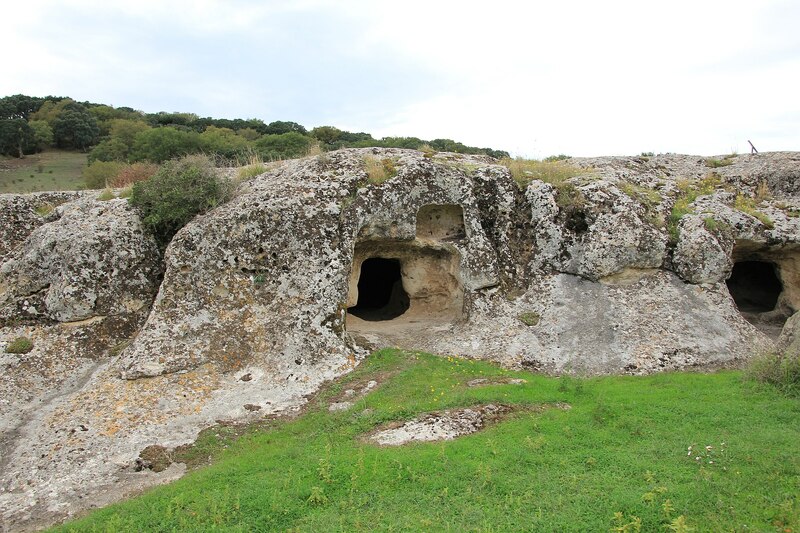 Other Nuragic buildings not to be missed in Villanova, are the Tomb of Giants of Laccaneddu and the towers on mounts Lua and sa Rughe.